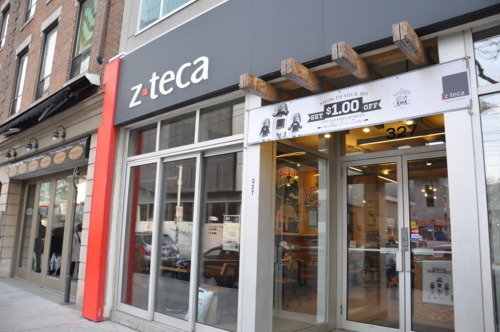 Whilst shopping in Toronto we surprisingly stumbled upon Z-Teca on King Street. 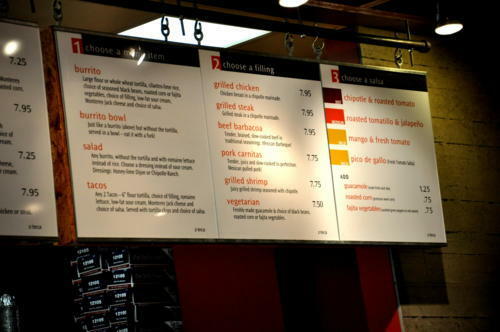 Z-teca offers a number of different meat options as well as vegetarian options. Steph and I both tried the Barbacoa (pulled beef). We both loved it - the meet was really tender and saucy. Steph ordered hers in a “bowl” and I got mine in a tortilla. I loved the salsas they offered - Steph got the mango and fresh tomate. 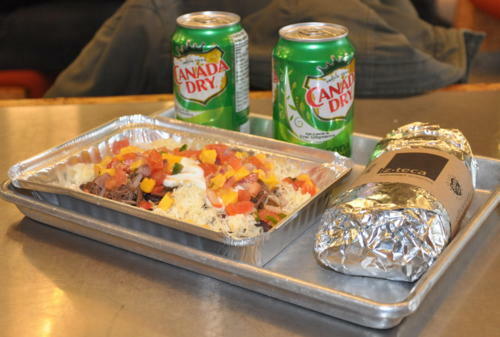 They make their salsa on-site which is a nice touch (they also marinade their meat on-site). And of course we had to get Canada Dry in order to be patriotic. 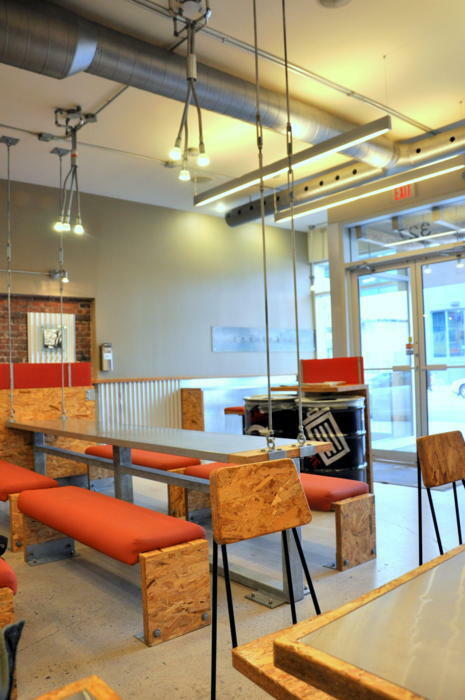 What I especially liked about Z-Teca was the decor - I would describe it as Particle-Board-Chic. On my way out of Toronto I noticed another location on Gerrard. It looks like they’re taking over - which I really don’t mind since the food is pretty decent. They’re also Canadian-owned and so far only have locations in the GTA.